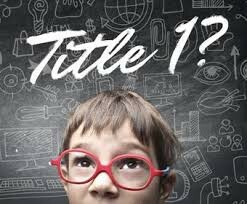 If you have a student attending a Title 1 school, your school has certain obligations and you have certain opportunities and rights. Parents are usually most interested in the achievement level of their child. Your school is required by law to keep you informed of your child's achievement level. 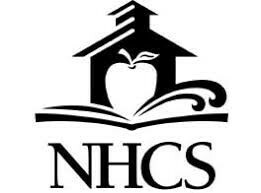 Parents may request information concerning the professional qualifications of their child's teachers including the degrees held, certifications held, and whether the teacher is certified in the area he/she is teaching. Parents in Title I schools must be a part of developing a written Parent Involvement Policy that is distributed to all parents and to the local community and announced at an annual meeting. Every Title I school district must have a similar Parent Involvement Policy applicable at the District level. 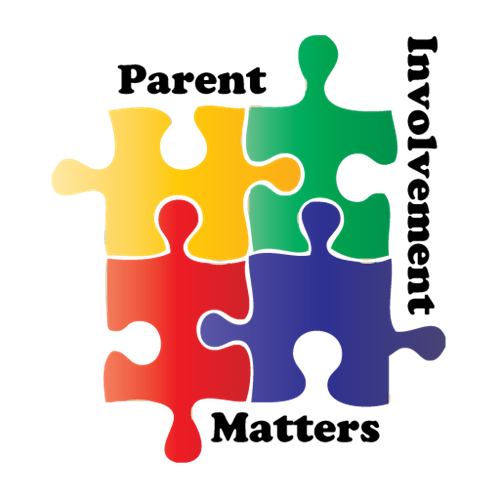 that the school system utilizes activities to support parent and family engagement in the Title 1 programs. What IS Title I ??? 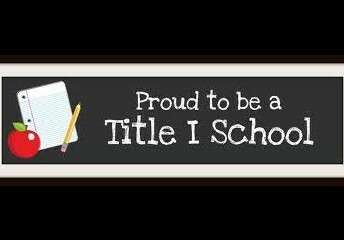 Title I provides federal funding for schools to help students who are behind academically or at risk of falling behind. Funding is generally based on the number of students who qualify for free and reduced price school lunches. Understand your child's performance in reading and math and how you and your school can work together to improve your child's performance. Attend Parent / Teacher Conferences. Communicate your school's success to your community. Look for ways to support your school in challenging areas. Participate on your school's School Improvement Team. 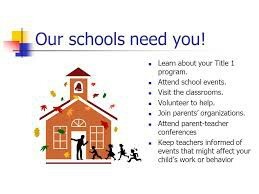 Attend your school's Annual Title I Parent Meeting and other Parent & Family Engagement Events. 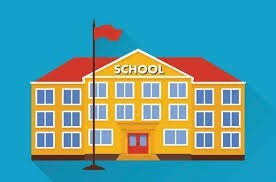 Participate in the development or update of your school's School - Family Compact.